Dark Desolation is proud to join the roster of artists such as Ozzy Ozzbourne, Dimmu Borgir, Emperor, Devildriver, My Dying Bride, Morgoth, Iced Earth to name a few. 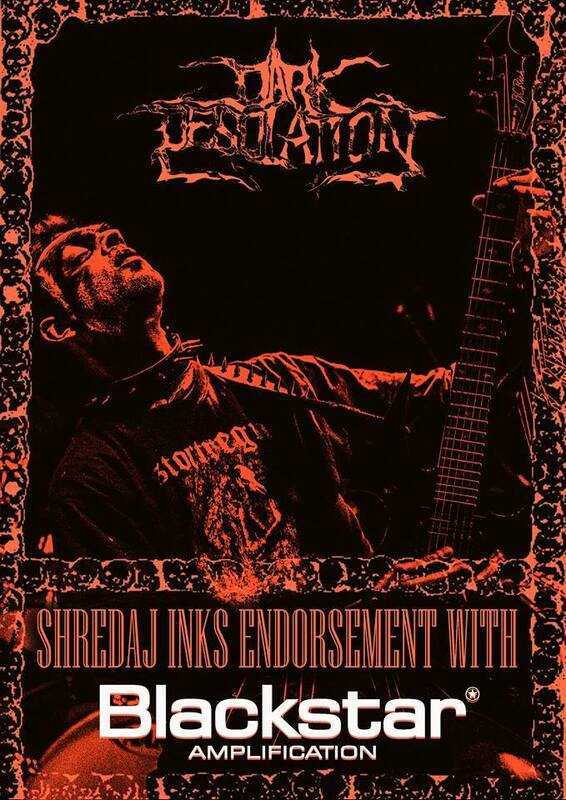 Guitarist, Shred Aj (lead guitars) of Dark Desolation has recently signed an endorsement with Blackstar Amplification. Shred Aj now joins guitarists such as Gus. G of Ozzy, Wolf Hoffman of Accept, Silenoz of Dimu Borgir, Ihsahn of Emperor and many more, as officially endorsed by the world renowned amplification brand, Blackstar!